Be one of the 100,000 homes powered by solar. The sun shines 300 days per year in Colorado, so it makes sense that the state invested $305 million in solar in 2015. As of August 2016, Colorado has the ninth most solar capacity in the nation—574 megawatts. That’s up 117 percent from the previous year. While there is an uphill battle to prevent utility companies from driving up solar prices, Colorado residents and businesses are still actively moving toward cleaner, sustainable living. The average Colorado homeowner spends $81 on electricity each month. That bill is 24 percent less than the national average, but could be even cheaper with solar panels. Most solar panels cost anywhere from $11,200 to $14,400, but can offer lifetime savings opportunities that unsustainable electricity can not. Thanks to a 66 percent drop in photovoltaic cell prices since 2010, solar is only going to get cheaper. For Coloradans, the fight is now with local utility companies to offer net metering credits, keep wattage costs low, and to omit a demand charge for peak use of energy. If that happens, homeowners and businesses can save a lot more on solar energy and save the environment. You can get a jump on determining your solar savings by using Solar Power Authority’s cost calculator. Input your information to give yourself a better idea of how solar can benefit your monthly utility bill. You don’t have to live in Colorado to take advantage of the large federal tax credit on solar energy. If you own your solar panels, you can get 30 percent of the cost of the system back. Those who lease, finance, or have a solar PPA won’t be able to tap into these savings, but it’s a big bonus for those who buy solar panels. We mentioned that Colorado utility companies have been raising prices for those who own solar powered homes, but here are some of the incentives you can save with in Colorado. In some cases, your solar panels will produce more energy than your household consumes. You can get rebates from your utility company if your excess power is transferred back into grid power. 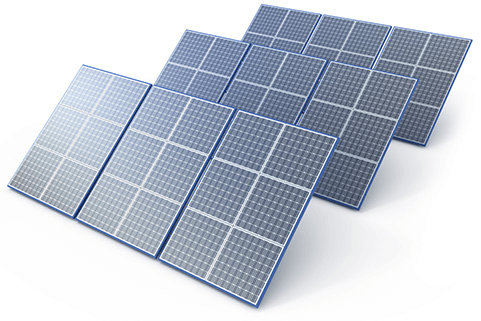 This helps offset costs involved with installing, leasing, buying, or financing solar panels. SunPower has 600 patents for solar technology and many notches on its belt for innovative achievements. Aside from a record-setting solar powered plane, SunPower has invented solar cells that produce 55 percent more energy than conventional panels. 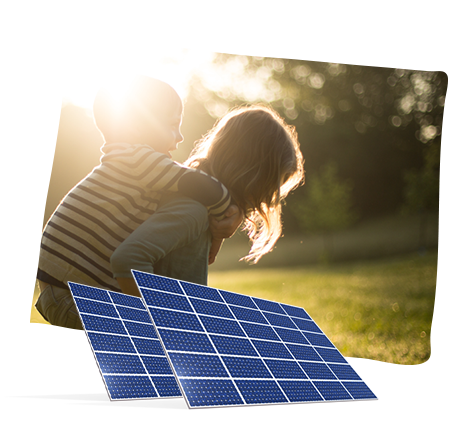 Over the course of your system’s lifetime, you can save over 70 percent on energy with SunPower. Sunrun gives customers a chance to save up to 20 percent on energy bills. Plus, its solar PPAs, leases, and purchasing and financing options allow you to pay for solar the way you want. With over 80,000 customers, rave reviews on Angie’s List, and top scores with the Better Business Bureau, it’s clear to see Sunrun is a great company that can help you save. Vivint originated as a home automation and home security company, and expanded to offer solar in 2011. Today, you can fortify and simplify your home while saving money when you install Vivint products. For instance, customers who lease Vivint solar panels can save 10–30 percent on energy. What NRG lacks in solar PPAs it makes up for in savings. Customers often put as little as $0 down to install solar panels. Plus, contracts come with locked-in utility rates to protect you from rising energy costs. If you choose to install solar with NRG, you’ll receive competent design, engineering, monitoring, and more. State support for solar power is critical for its implementation and savings potential. Without it, utility companies are free to charge what they want for electricity to the detriment of those who install solar panels. Currently, the SEIA, an organization that advocates locally and nationally for sustainable energy, is working to change net metering and bring more solar energy to Colorado. This entails eliminating utility price spikes that scare people away from solar. Since Colorado is one of America’s sunniest states, this is a lot of sustainable power to waste. Colorado has one of the country’s most rigorous renewable portfolio standards (RPSs). By 2020, public utility companies will have to generate 30 percent of their energy from sustainable resources like wind and solar. This doesn’t affect homeowners, but shows Colorado’s commitment to cleaner energy and the state’s focus on bridging utility and solar companies and initiatives. Nearly 5,000 people are employed by Colorado’s 438 solar companies. Colorado ranks ninth in the nation for its solar capacity—574 megawatts. Colorado invested $305 million to install 146 megawatts of solar in 2015. Colorado’s solar capacity is enough to power 100,000 homes. Find everything from government energy initiatives, new policies, and statistics about energy usage in Colorado. See how upcoming solar legislation will affect your solar savings. Plus, stay current with pending solar bills. Get an inside look at the organization that regulates utility rates and standards. Find Colorado energy incentives by city. Browse now to see if you can save more on solar in your neighborhood. Discover stats about energy usage in America to see where Colorado stacks up.